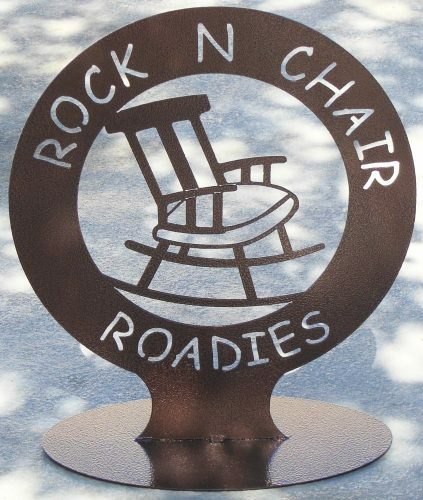 Rock N Chair Roadies was formed in 1996. We are a retiree camping group with members from the Denver/Front Range area. Most of our outings are within the state with some in adjoining states if there is something we feel is of interest in those areas. Most of the time we will go to areas where we have full hook-up facilities, but also go to places with water and electric or electric only. It would take a really special place to camp completely dry. Anything else that strikes our fancy. We limit our membership to 10 family camping rigs in order to make it easier for planning trips and events together. Almost all of our campouts are during the week. We will utilize both private and public campgrounds as long as they are clean and neat. We generally participate in only a few organized multi-chapter activities. We mutually decide on the upcoming year’s outings and activities at a luncheon near the end of the year. Each one of us takes a campout and makes all the arrangements as the wrangler for that activity. We have a number of alumni who no longer camp but join us for lunches and pot luck dinners. We normally camp one week a month from May through October. In the off months, we try to meet for lunch about once a month except in December. Many of our member families often have their dogs along for the ride. There are no dues or fees in our group. Occasionally, we may pass the hat for a special occasion or cause but that is rare. We love to have guests come camping with us. Just let us know as far in advance as possible. Grand kids of course are always welcome, but keep in mind that all planned events are structured for retirees, so bring along something to keep the children entertained. Quick summary: We are a laid-back group of people of retirement age who enjoy each other’s company, like to see different places, and get out and away from the hustle of metro life.